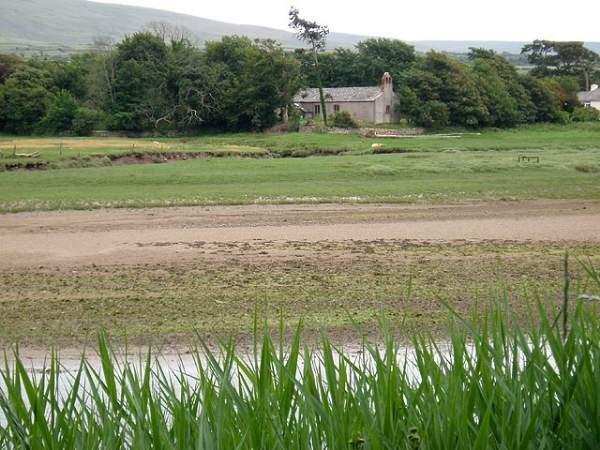 Waberthwaite is a village on the estuary of the River Esk in Cumbria, England. It was historically located near to and overlooking Muncaster Castle and the picturesque village of Ravenglass. The village church of St John with its Anglican cross and Norman font is one of the few remaining with box pews. Its appearance must have changed little since it was built 800 years ago. The setting by a bend in the tidal River Esk, protected from northerly gales by the wooded sloped of Muncaster Fell, is truly idyllic. Squat and simple, this typical dale church has witnessed many centuries of worship. 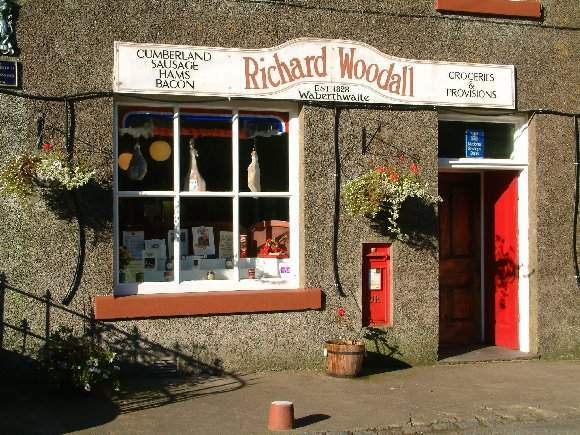 Richard Woodall of Waberthwaite was founded in 1828 and was one of the oldest family-run firms in the country. The company supplied the royal household with its range of hams, bacon and sausages, as well as supplying a number of national retailers, including Fortnum & Mason, Harrods and Selfridges. Unfortunately the business closed in 2010 due to the ill health of its managing director Colin Woodall.